MAKE A WISH Banner For Gypsy Fairy Gardens. Full Description: Every mini garden needs a little glitter! 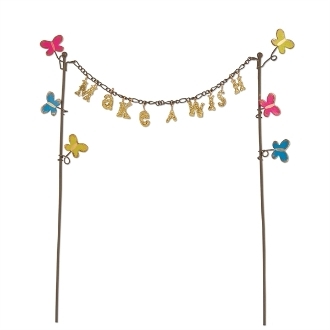 This magical banner encourages you to "Make a Wish" and features tiny butterfly accents. Features all-weather paint. Made of metal.